Apple’s next flagship iPhone 8 will feature the highest level of water-resistance rating than any other Apple iPhone had ever featured, according to a report by Korean Herald. The iPhone 8 will reportedly be IP68 certified, meaning the smartphone will be able to survive submersion for 30 minutes in 1.5 meters of water. “Apple’s iPhone 8 will feature the IP68 rating protection as part of drastic upgrades marking the 10th anniversary of the iPhone this year,” an industry source to the Korean newspaper. 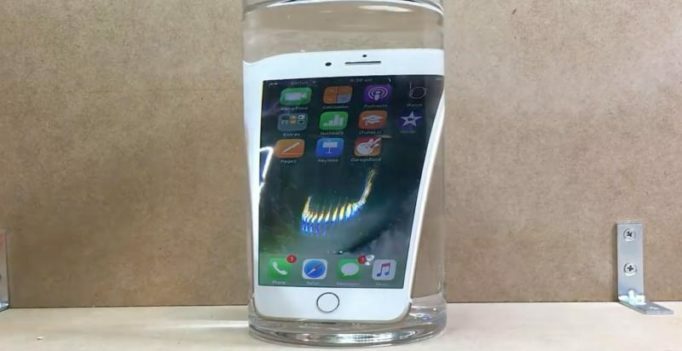 The iPhone 7 holds IP67 water- and dust-resistance rating, which means the smartphone can handle submersion for half an hour for 1 meter of water. At present, only Samsung Galaxy S7 sports the IP68 rating. And the next smartphone in the Galaxy S series, the Galaxy S8, is also said to be equally certified. Apart from the industry giants Samsung and Apple, the LG electronics and some Chinese smartphone maker are considering their upcoming flagship to be IP68 certified. LG XCalibur smartphone, showcased at the CES 2017 will also bear the IP68 rating. Also, the LG G6 which is rumoured to be unveiled on Mobile World Conference next month could be waterproof.